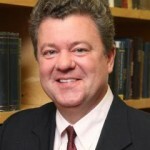 Dr. Mark Thornton: Why Interventionism Is Bad For The Economy - Wall St. for Main St.Wall St. for Main St.
Wall St for Main St welcomes back Dr Mark Thornton! He is an Austrian Economist and a Senior Fellow at the Mises Institute. In this podcast, we followed up our discussion on the “Skyscraper Curse” from our previous podcast. We also talked about the 2008 financial crisis and if the economic world would be different if the government and central banks did not intervene. Plus much more!